The owners and managers of Kihei Kai extend a warm welcome. Make Kihei Kai Oceanfront Condos your Hawaiian home as others have, year after year. Escape from the cares of the fast paced life… Enjoy the peace and tranquility awaiting you here in this wonderland of Aloha! 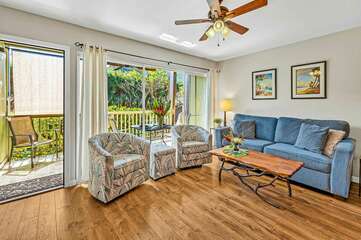 Kihei Kai Oceanfront Condos offers complimentary high speed cable internet and air-conditioning in all of our Maui rental condos.